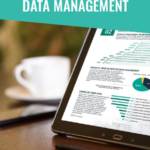 Profisee, a global leading modern data management technology company, released the results of its first annual data management report, “The 2018 State of Data Management.” The survey, conducted between January and April of 2018, aims to provide insights into data management, strategy, challenges, trends, benchmarks and ‘how others are doing it’. It is Profisee’s hope that data management professionals across the global data management community can use this information to help drive new initiatives. Naveego, an emerging leader of cloud-based Data Quality (DQS) and Master Data Management (MDM) solutions, announced today a new release of Naveego DQS. The company continues to innovate and design a new era of DQS and MDM products to proactively manage, detect and eliminate data quality issues across enterprise systems. Information Builders, a leader in business intelligence (BI) and analytics, data integrity, and integration solutions, announced that it is working with Microsoft Azure Marketplace to offer its Omni-Gen™ Master Data Management (MDM) Edition solution on-demand on the Azure Cloud.